I love staying at hotels, but sometimes renting an apartment turns out to be even better choice. Especially if the apartment is at perfect location, beautifully decorated and makes you truly feel like home, which is what happened to me during my last trip to Milan. I was staying at live at contanza. milan which is owned by Contanza, that currently rents out three different apartments in Milan. 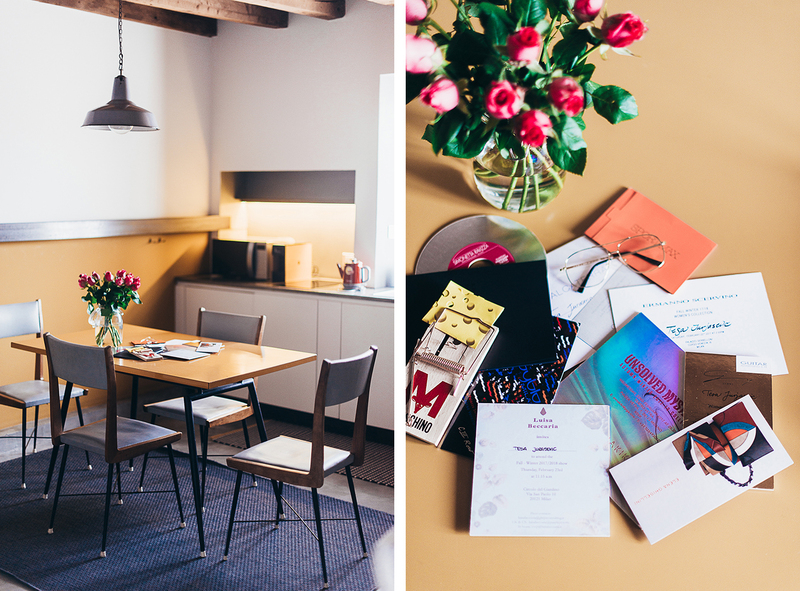 Keeping it in fashion week vibe we stayed at the Artists Loft, an apartment in Milan city center that made my stay so much more enjoyable and special. Welcomed by fresh roses, Contanza special guide on best Milan places and of course an adorable apartment was a perfect way of starting a really hectic and stressful week. And it was even better to come back home after a hectic and crazy fashion week day. Relaxing in a cozy, warm place filled with positive energy, was exactly what I was looking for when booking a place to stay and more!